More than 2,000 undocumented women and children being held in "deplorable" conditions at federal immigration detention centers are supposed to be released under a recent federal judge's order. But how long that takes and what happens to them next remains unclear, attorneys say. Late Friday, U.S. District Judge Dolly Gee admonished the Obama administration for detaining thousands of undocumented immigrants from Central America in violation of a 1997 legal settlement requiring that undocumented juveniles be held in the “least restrictive setting appropriate to their age and special needs to ensure their protection and wellbeing,” according to an analysis by the Center for Human Rights and Constitutional Law. Gee ordered that the women and children detained in Karnes City and Dilley, Texas, be released as soon as possible. (A smaller facility in Pennsylvania is also being used.) The administration has until Monday to respond to Gee’s order, and 90 days to appeal her ruling. “We are disappointed with the court’s decision and are reviewing it in consultation with the Department of Justice,” the Department of Homeland Security said in a statement on Friday. The agency didn’t respond to a follow-up email asking how the agency planned to move forward, or whether the families, if released, would be required to wear electronic monitoring devices or be released on bond. For now, attorneys working to free the immigrants say their job is far from over. "[We] will keep sending lawyers down to Texas until they are not needed anymore,” said Rachel B. Tiven, the executive director of the New York-based Immigrant Justice Corps, which recruits and trains attorneys to handle pro bono immigration cases. 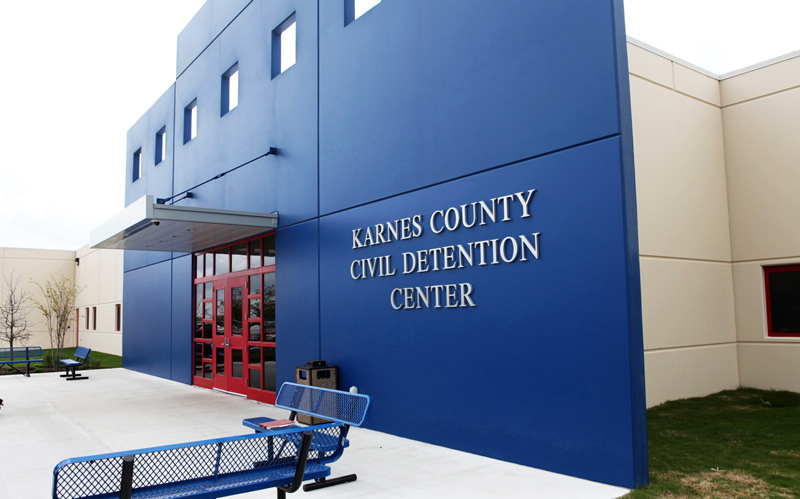 The IJC has trained 35 attorneys who rotate in two-weeks shifts in Dilley and Karnes. Thirty-five more will begin their rotations in September. “We need to see that 4-year-olds and their mothers are not in jail in South Texas before we stop,” Tiven said. Tiven and her colleagues want to ensure the families are given clear explanations of their rights once released. Undocumented immigrants face a number of options — and punishments — as they move forward with their cases. Pursuing legal status can range from seeking asylum to requesting that a case be administratively closed, also known as prosecutorial discretion. In a letter to Immigration and Customs Enforcement Director Sarah Saldaña dated July 27, CARA, a coalition of members from the Refugee and Immigrant Center for Education and Legal Services, the Catholic Legal Immigration Network, the American Immigration Council and the American Immigration Lawyers Association, reiterated its request that ICE offer daily briefings to the women before they are released. "The purpose of such presentations would be to explain reporting obligations, the importance of appearing for all scheduled appearances, the need to file an asylum application in advance of the one-year filing deadline, the individuals’ rights and obligations, and how to connect with pro bono attorneys in their cities of destination," the coalition wrote. Unlike the criminal justice system, in which defendants are guaranteed counsel if they can’t afford it, immigrants in detention are not afforded that right. And even with an attorney, getting legal advice isn’t guaranteed. She said she’s heard reports of women being told they “absolutely” have to wear an ankle monitor despite having an order from a judge that says they don’t have to. “They are really being intimidated,” she said. But even limited access can mean a world of difference. Immigrants with attorneys are five times more likely to win an asylum case or another judgment allowing them to remain in the country legally compared with those without legal help, according to the IJC website. The detention centers were created in response to a surge of undocumented immigrants who flooded the Rio Grande Valley last summer. About 50,000 unaccompanied children were caught or surrendered to border agents in the Rio Grande Valley sector in fiscal year 2014, and overall about 68,600 unaccompanied minors were apprehended along the southwest border. And about 68,400 family units were apprehended in 2014 on the southwest border, including about 52,300 in the Rio Grande Valley. This article originally appeared in The Texas Tribune at http://www.texastribune.org/2015/07/28/despite-judges-ruling-questions-remain-detained-im/. Rafael Benavides is a journalist, anthropologist, businessman, adventurer and storyteller at heart. He is an investigator and inquisitive by nature.